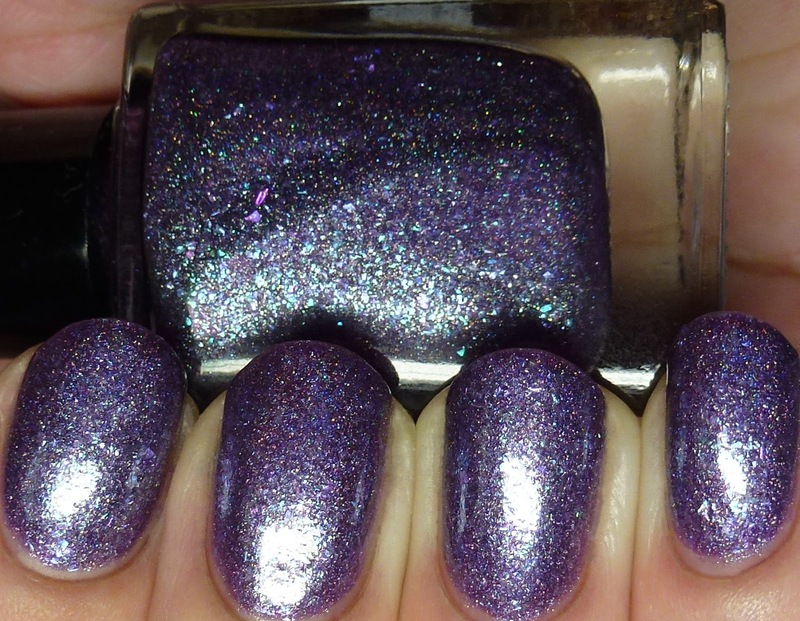 I had two polishes made by Rachel and the idea behind them was a pairing of different shimmers in the same base. 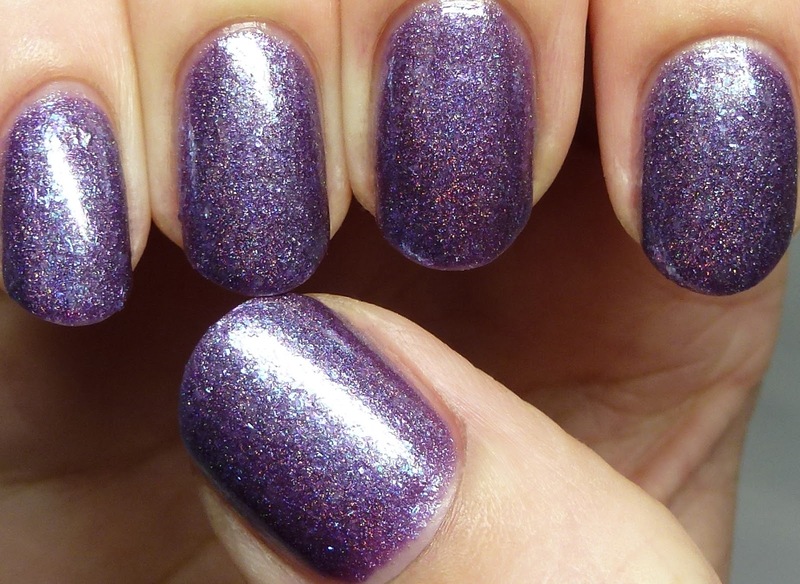 We elected for a purple jelly holo base and she went from there! 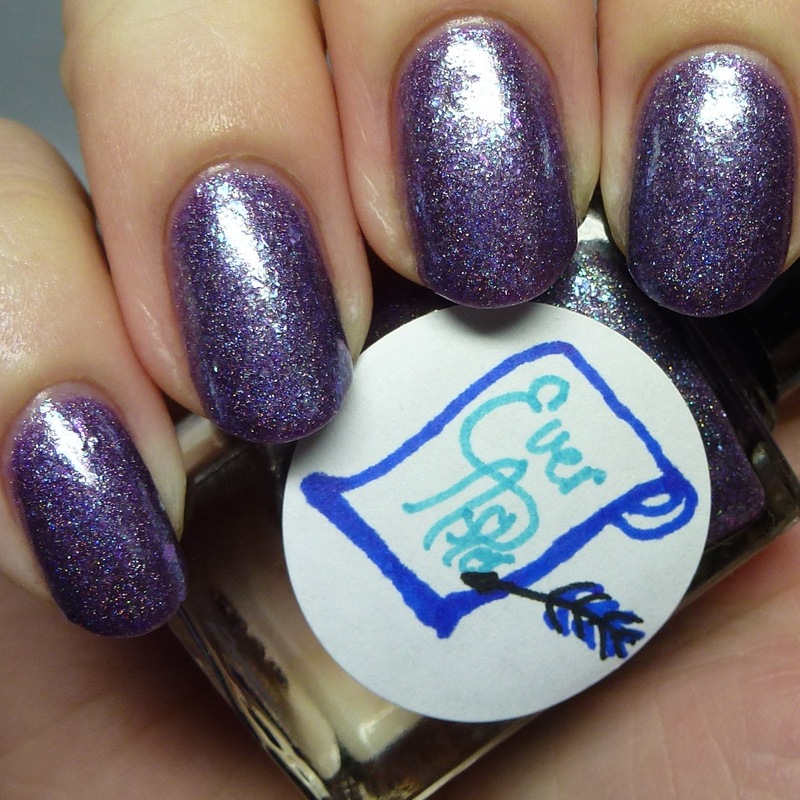 Since they ended up looking so delectable, they were named after Wonka brand candies! 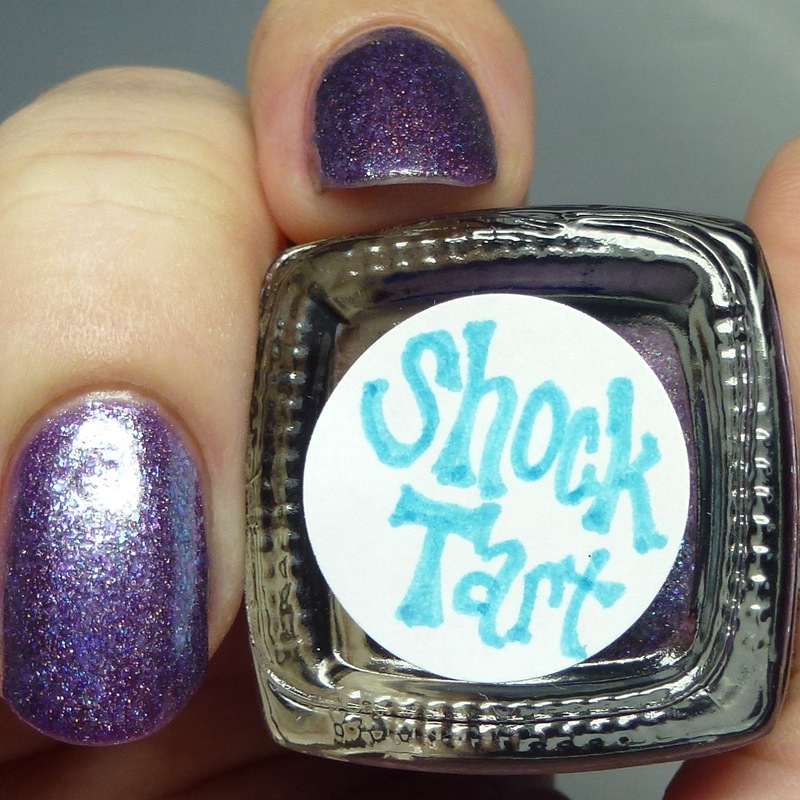 Shock Tart has added blue and green flakies, so it takes on a cool tone. 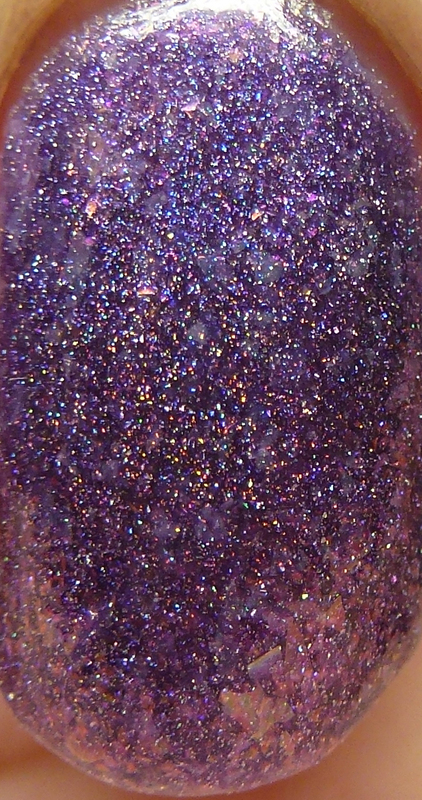 It is impossible to catch how sparkly and amazing this was in person. It was easy to use and dried fast. 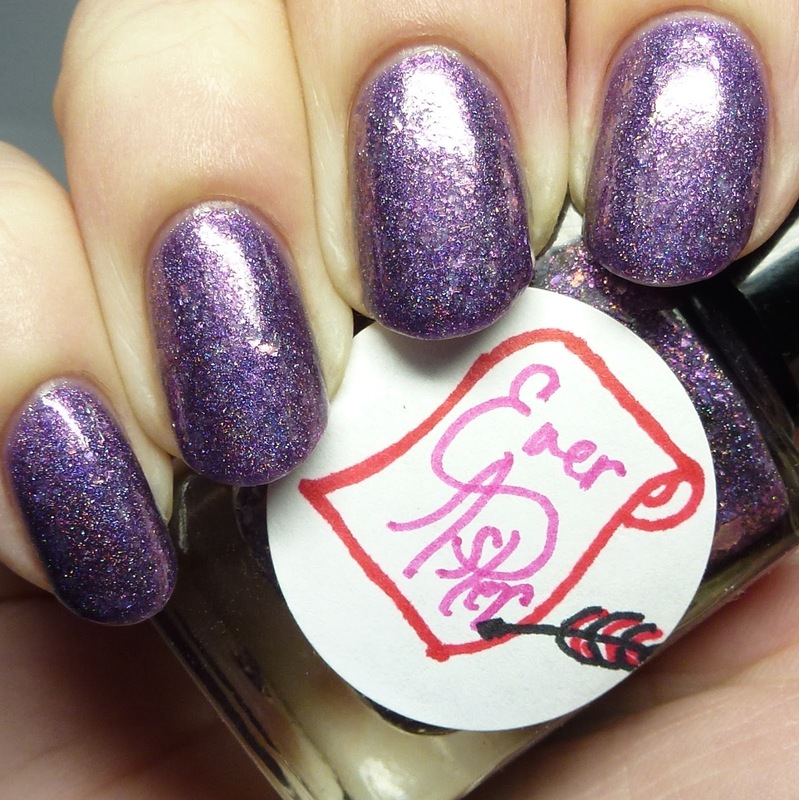 I recommend a thicker topcoat since the flakies add a bit of texture. 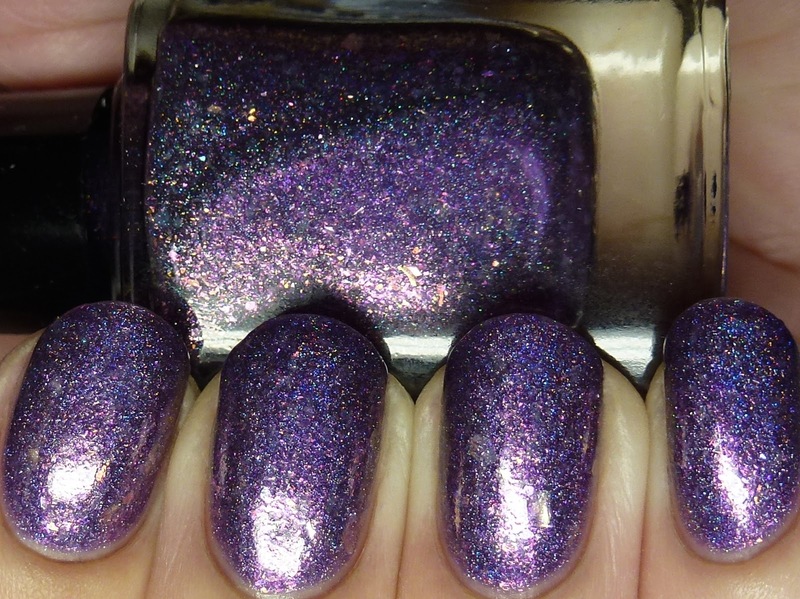 Removal was a bit harder than with a normal polish, but not as bad as a glitter. The large flakies did not cling to the skin upon removal like smaller ones can. 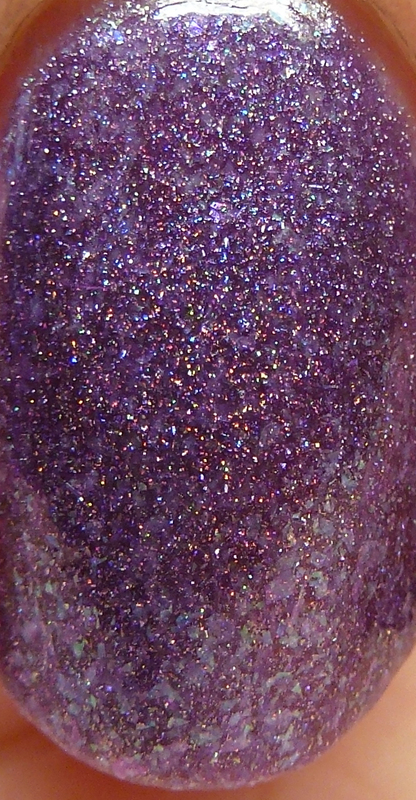 Volcanic Rock has red and gold flakies for a warmer take on the polish. The performance on this one was also similar. 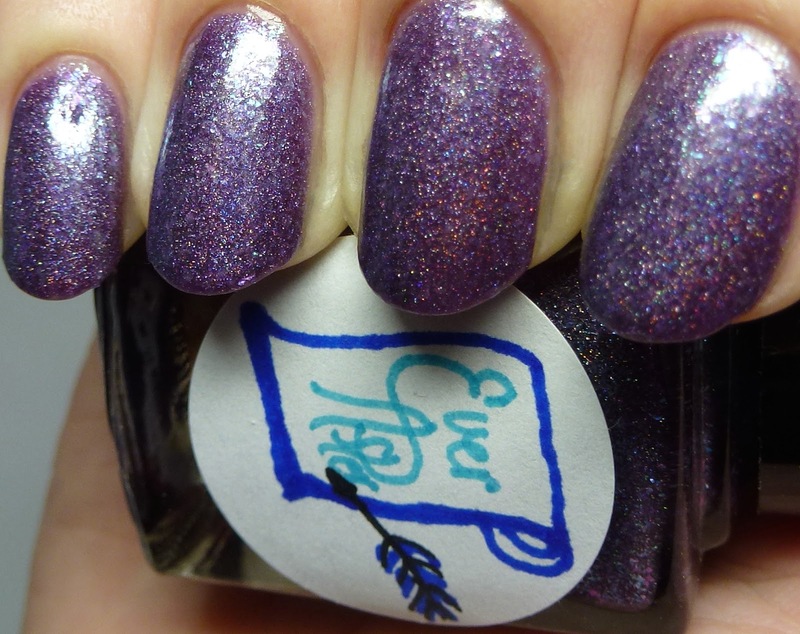 I should note that these work well as toppers in addition to full manis. 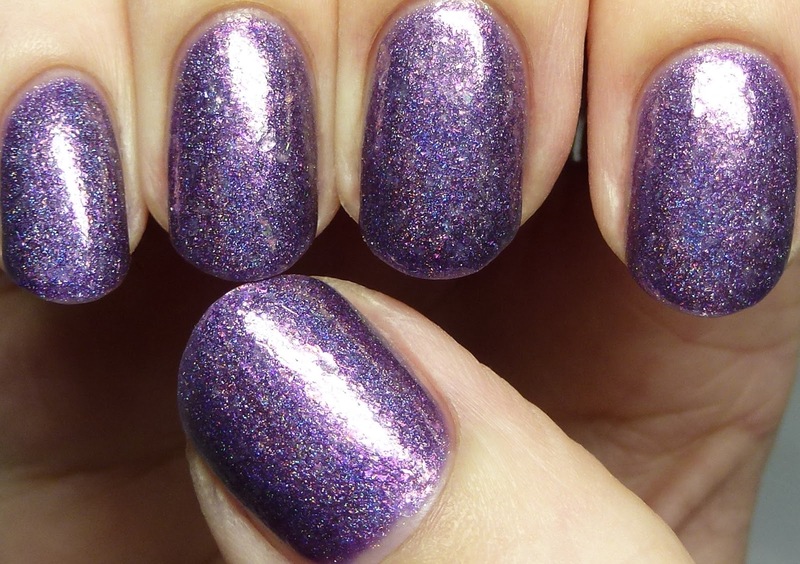 Here I wore them both at three coats and they were opaque because of the dense flakie content. So aren't those lovely? You want them, right? 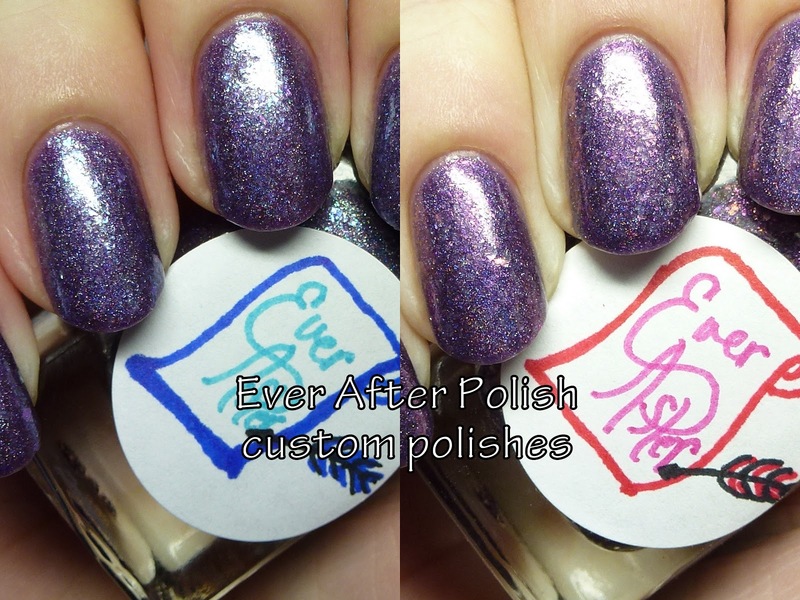 The good news is that you can get them for yourself through Sunday at the Ever After Polish shop! They were WAY too gorgeous to just keep to ourselves so they had to be released into the wild.